Find out about preauthorizing official UC San Diego business travel online. Preauthorizing UC San Diego travel is required regardless of how expenses will be paid or reported. To preauthorize travel, go to Create a new trip in MyTravel. Note: Travel preauthorization is different from absence approval for academic staff to travel. For academic absence approval, contact the person in your area who handles academic personnel matters. Note: To use MyTravel to report expenses online after travel has concluded, the travel event must have been preauthorized as required. The trip number generated will be a unique, 8-digit tracking number that certifies the trip is official UC San Diego business travel and pre-trip payments were authorized. All advances and prepayments for the trip are tracked under the event number. Access and approval for travel preauthorization relies on the TRP approval template. The person within your area who has the delegated authority to approve travel should be at Level 1. Contact your departmental security administrator for TRP setup. Insurance coverage: Travelers need to register for any business trip beyond 100 miles of campus or residence. 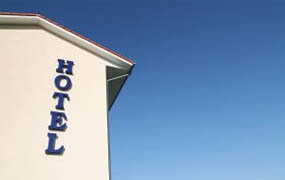 Review Business Travel Accident Insurance. Preauthorization and your encumbrance ledger: The index(es) and account(s) you indicate when preauthorizing the travel event will be encumbered for the estimated amount of the trip's expenses. The encumbrance will be automatically lifted if the same index(es) and account(s) are indicated when you report expenses after travel has been completed. If changes to an index(es) and account(s) are made during the reconciliation process causing them to differ from what you preauthorized, the encumbrance can be lifted by using the Encumbrance Lifter or completing an encumbrance adjustment journal. If you do not have access (a user ID and password) to use MyTravel, contact your department business office or administrator. Find out how to establish a travel account if the traveler you are working with does not appear to be listed in MyTravel .